It's no secret that people love sales. So when a Victoria's Secret outlet in a mall in Malaysia had a sale for one of its perfumes, all hell broke loose. Literally, in many ways. 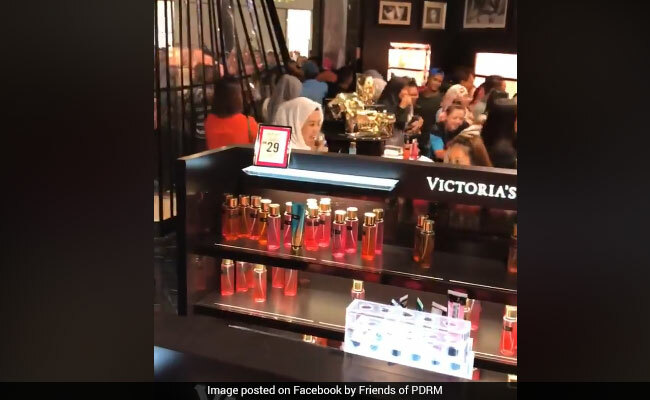 Shoppers at the Victoria's Secret showroom in Kota Kinabalu, Malaysia went bonkers to be the first to grab all the body mist they possibly could. Videos circulating on social media show the frenzy caused by rowdy shoppers. In one such video, overenthusiastic shoppers could be seen almost breaking through the store's entrance just to get access to the discounted items. Scores of shoppers are seen pushing against a transparent panel installed to keep the crowd away but it all fails miserably as many push through the maddening rush anyway. Inside, only the last of the discounted mists remain on the shelves. A man, while also keeping an eye on the chaos outside, is seen grabbing half a dozen bottles of the much-in-demand mist. Another video shows staff members helplessly trying to stop more people from coming inside the store but their efforts go in vain. According to The Star, a promotional e-mail from Victoria's Secret announcing a 63% discount on their mist collection on March 31 and April 1 may have been behind the retail madness. 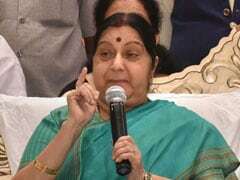 The mist, usually priced at 79RM (approximately Rs 1,300), was being sold at a markdown price of 29RM (or about Rs 450). According to local listings page 'KKCity', queues had started to form outside the store from 10am and the store closed immediately after the pandemonium.